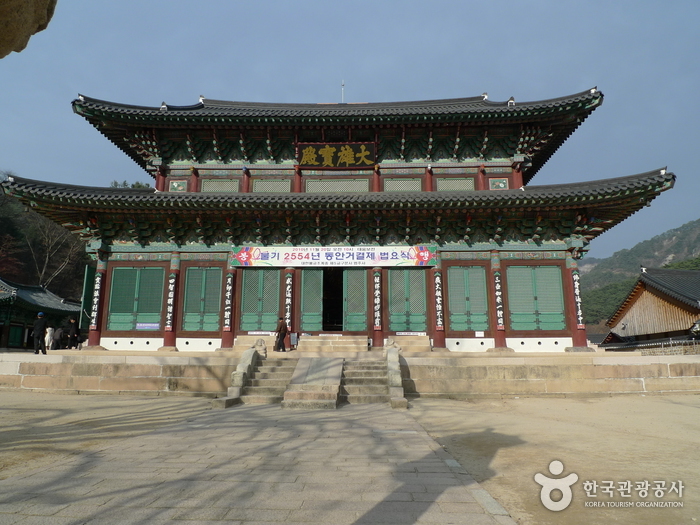 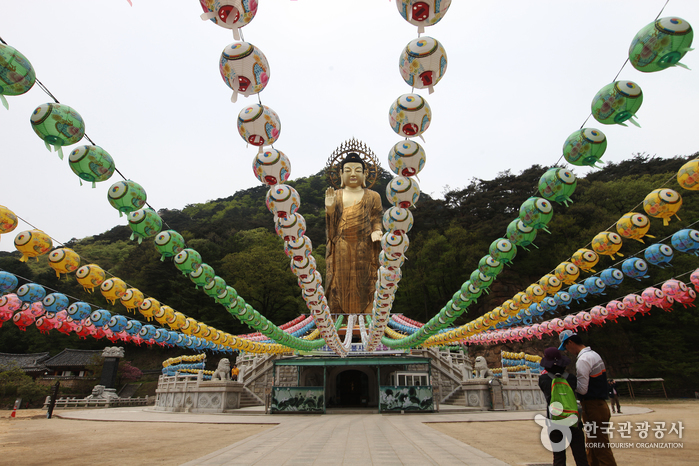 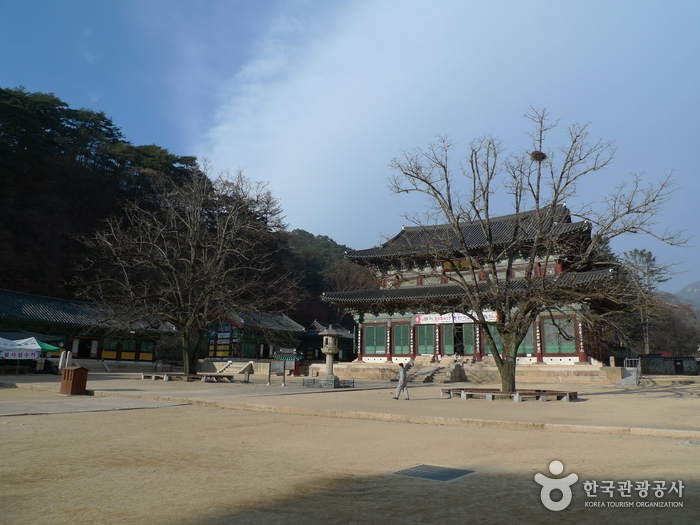 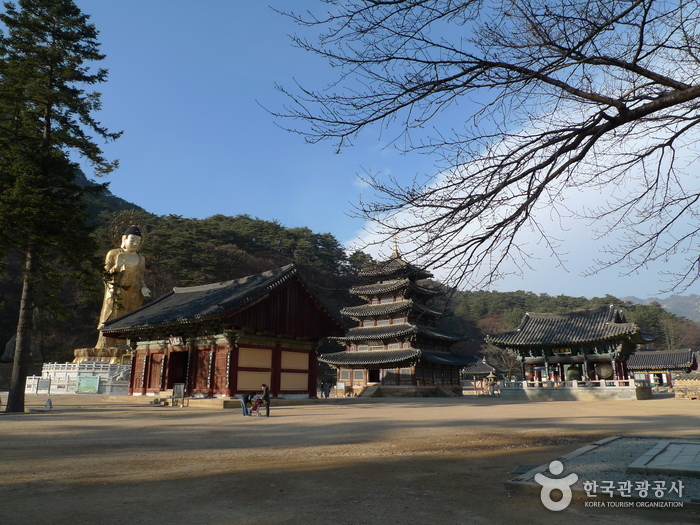 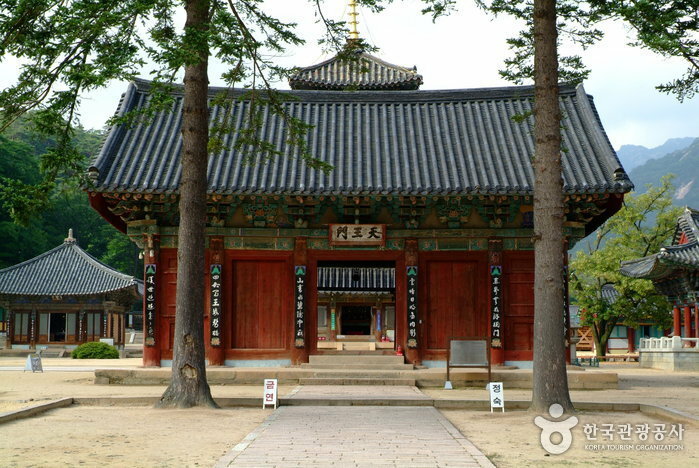 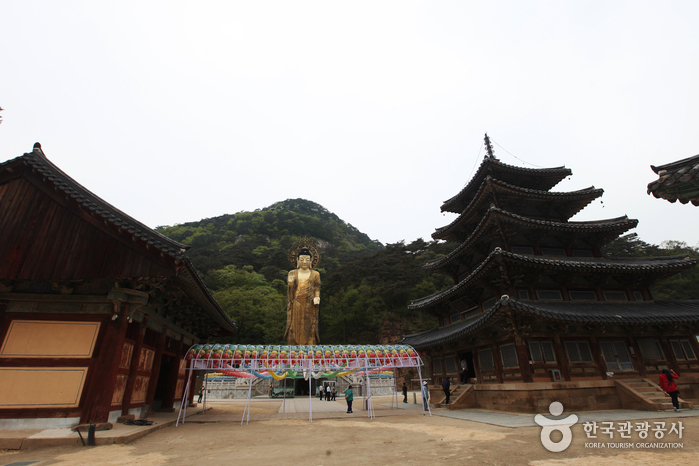 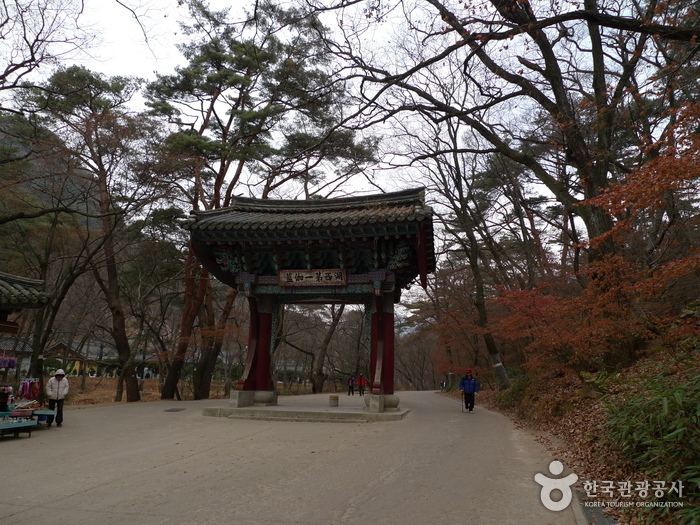 Built in the 14th year of Silla King Jin-Heung's reign, Beopjusa Temple is located on Songnisan Mountain. 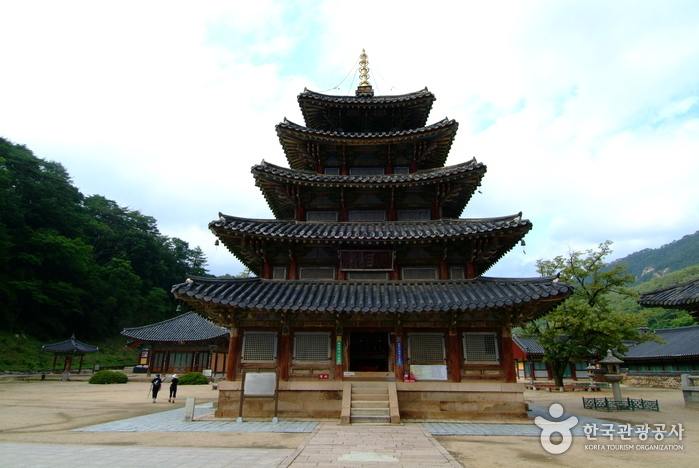 What stands today are the remnants of rebuilt monuments through left over from the lengthy and arduous process. 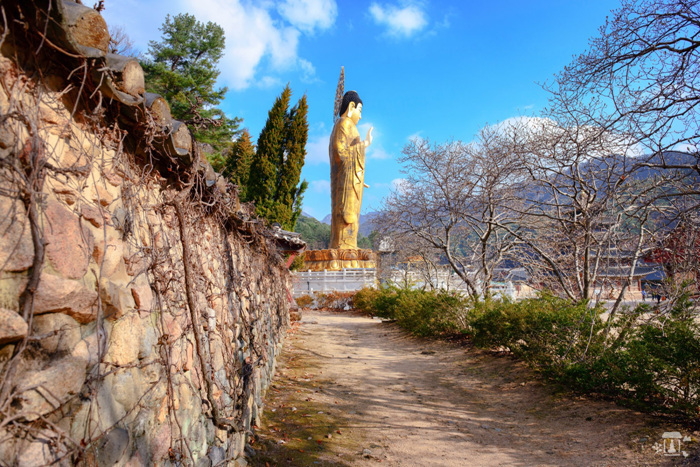 When you enter the temple, the yellow earthen road will catch your eye. 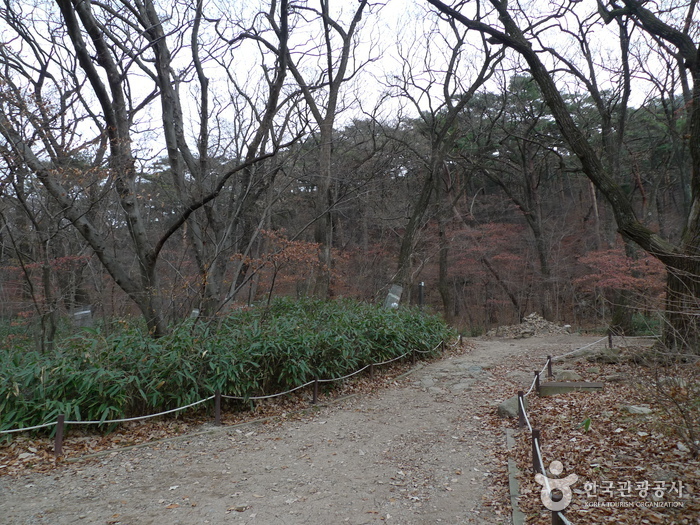 The earth was ground into small stone shapes, burned, and then scattered over the road. 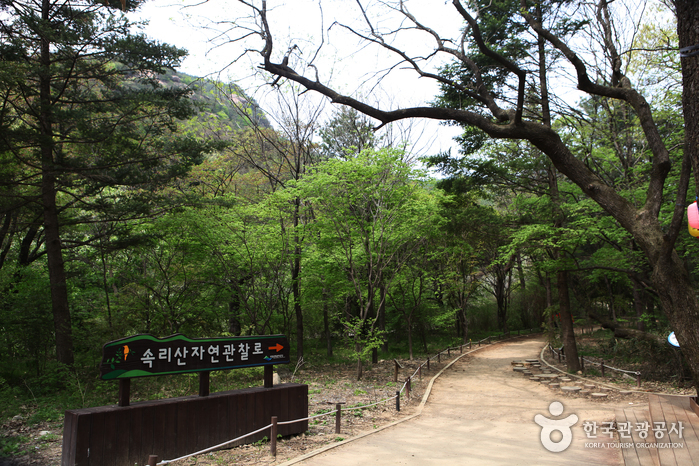 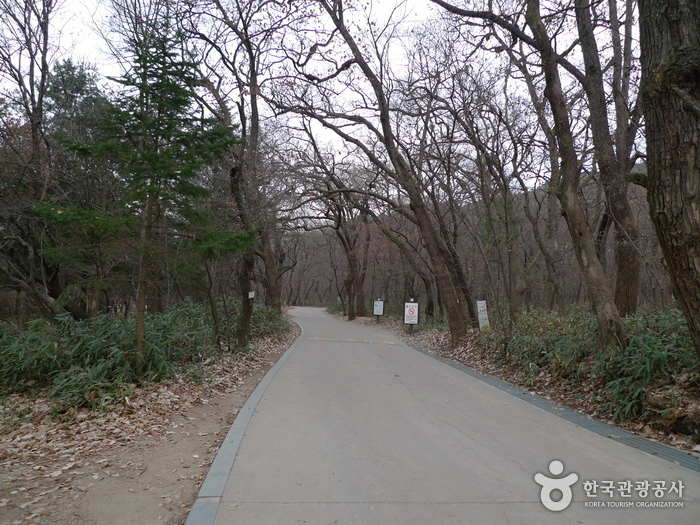 The road itself leads to the Orisup Trail, and there will be a nature study trail beside it. 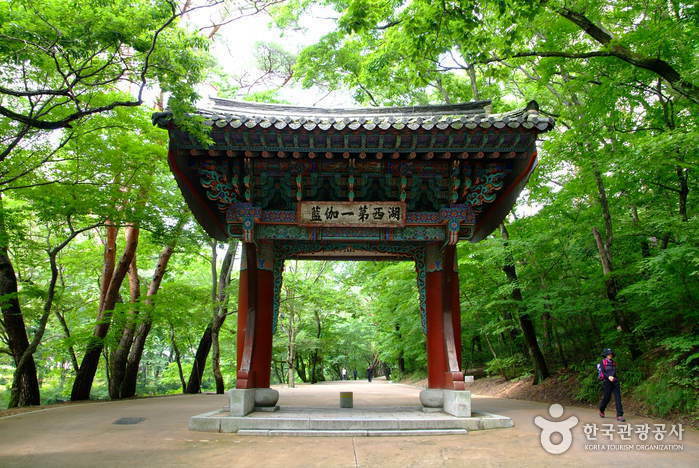 Pass the Orisup trail, through thick pine trees, and you will come across the main gate of the temple. 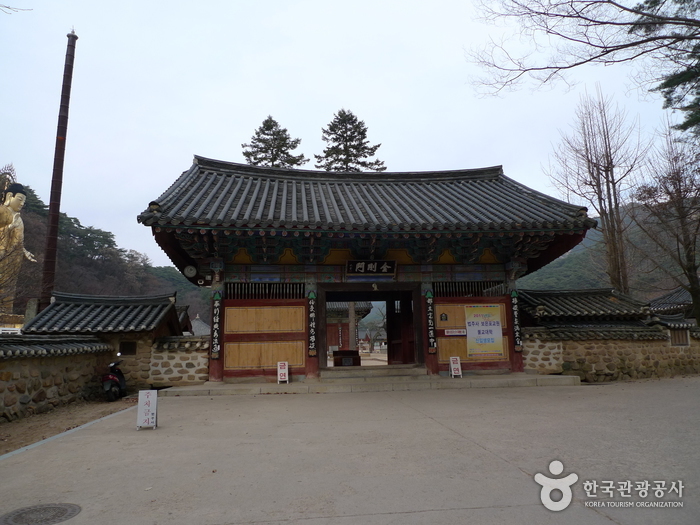 There is a large rock with a hole in the middle beside the main gate. 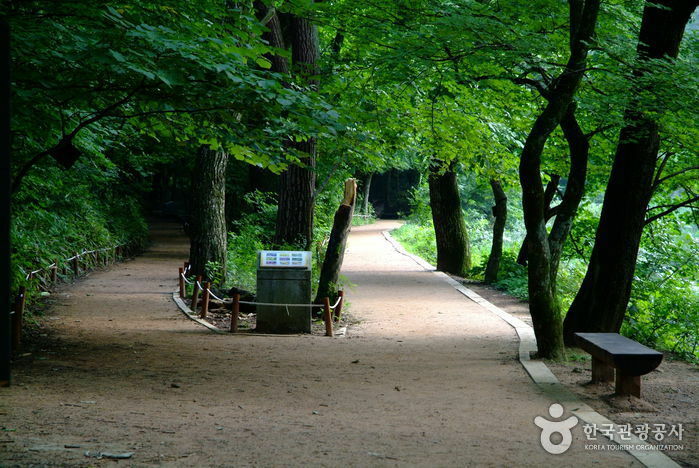 You can drink spring water that comes out of the hole. 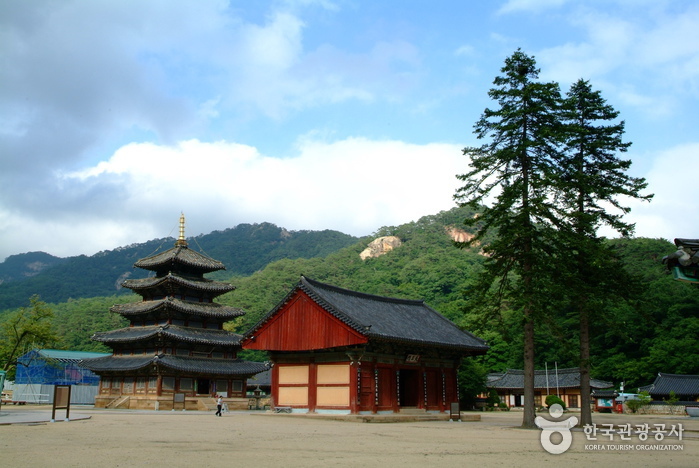 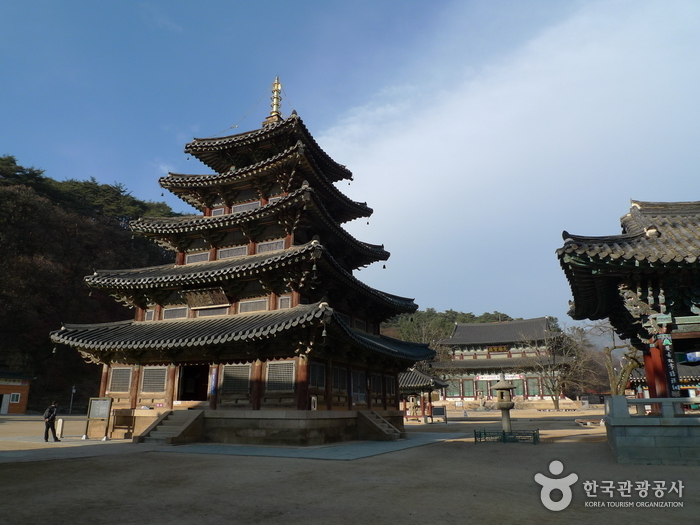 Inside the temple you can see Palsangjeon, Pavilion which is a wooden building shaped like a tower. 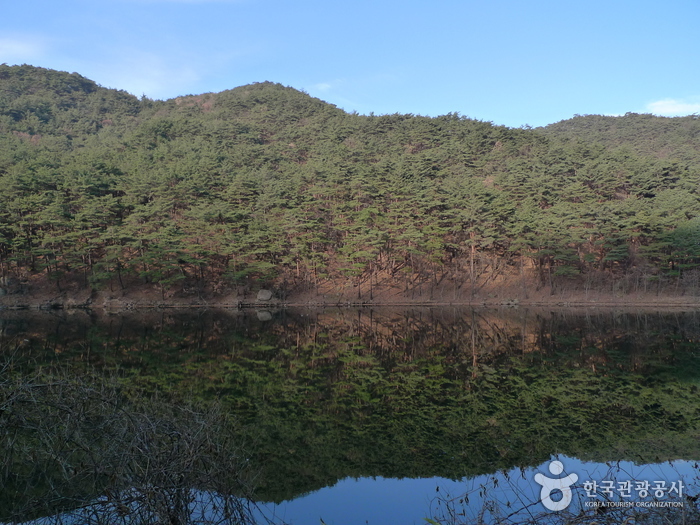 Then you can visit the Seokryeonji Lotus Flower Pond. 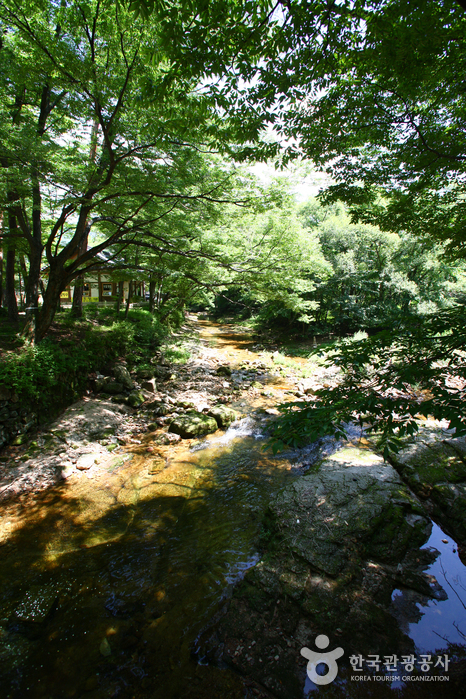 As the name suggests, the pond is made of stones. 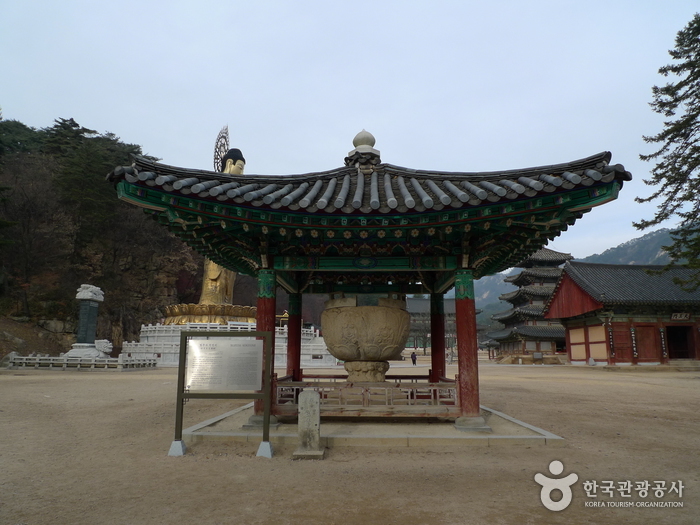 At the back of Palsangjeon Pavilion, there is the Ssangsajaseokdeung (Two Lion Stone Lamp), and, again as the name suggests, the two lions uphold the stone lamp. 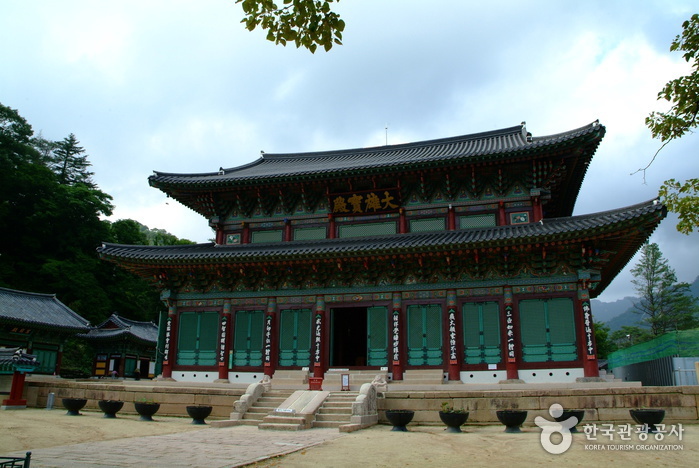 The main building is also fascinating. 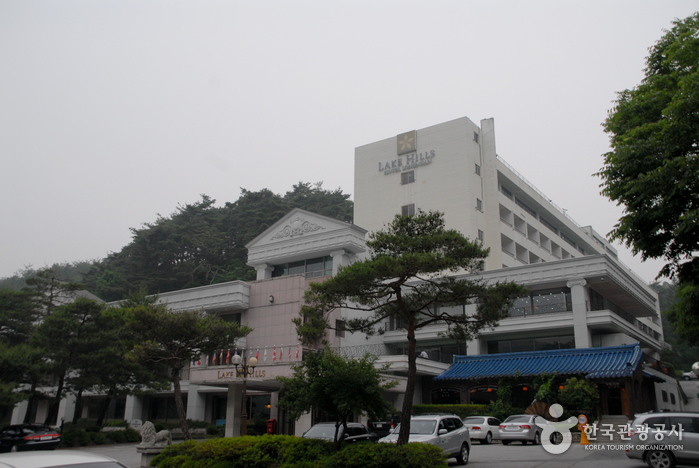 It is two-stories high, and very stately. 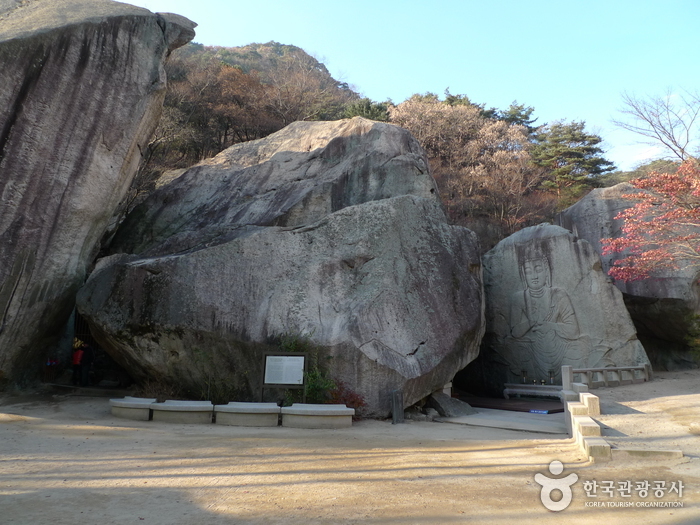 In addition, Beopjusa Temple has Ma-aeyeorae-uisang carved into a rock. 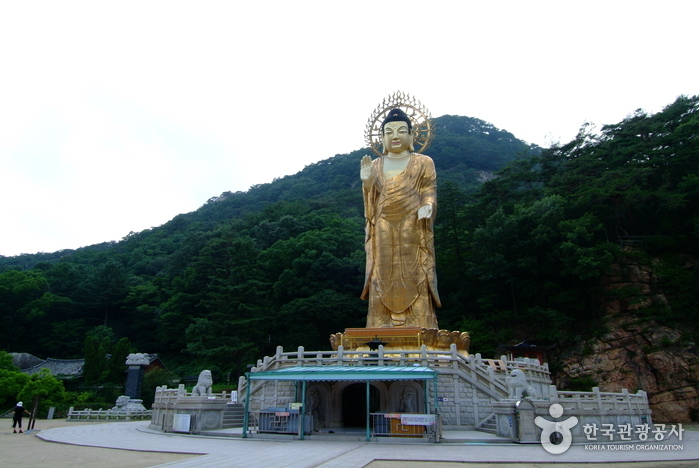 Uisang refers to a sitting Buddha, and this particular Ma-aeyeorae shows Buddha sitting on a lotus flower. 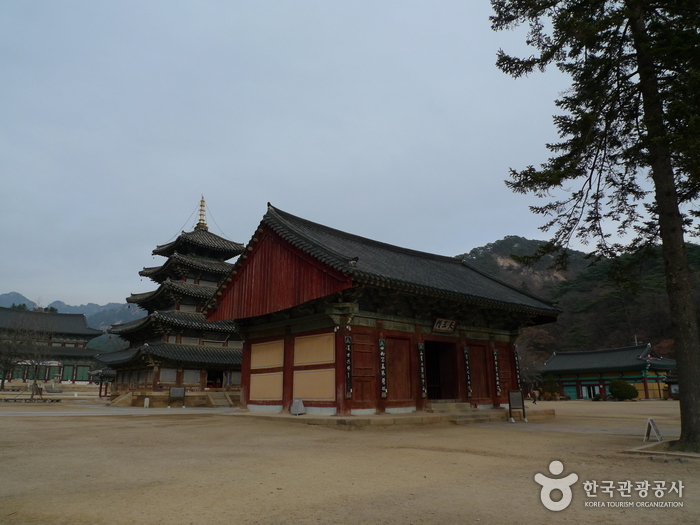 Passage of time has done much damage, but the original shapes are still well preserved. 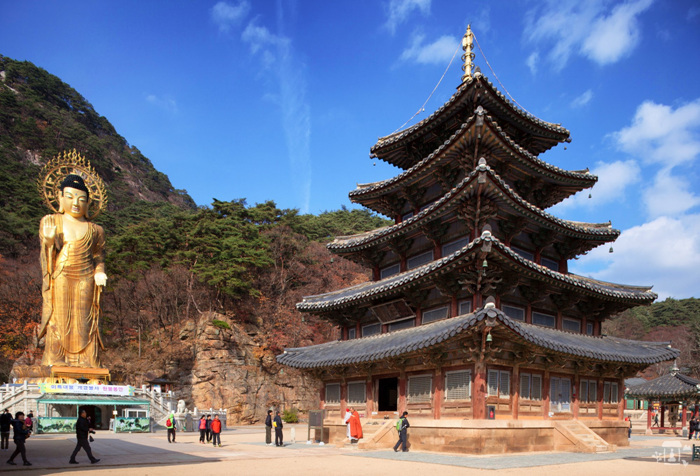 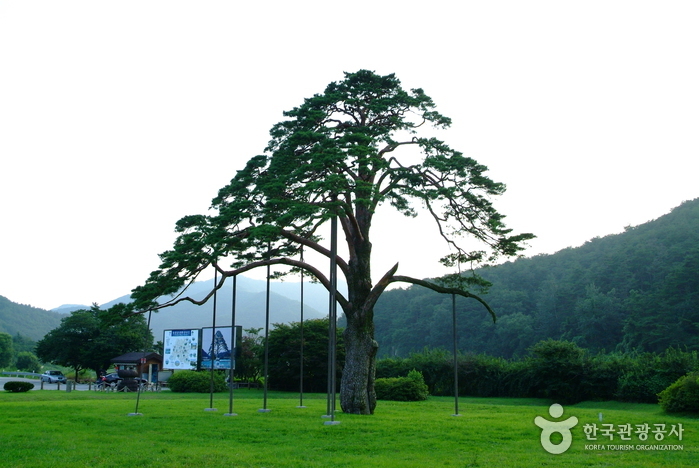 As there are many buses operating from Seoul to Cheongju, it is recommended to catch a bus from Seoul and transfer to a bus bound for Songnisan Mountain in Cheongju.